Look to this page to find student reviews of movies, television shows, books, video games, or albums. Anything goes! ​ALL students are welcome to submit a review. ​The tragic tale of the Baudelaire orphans comes to a close with the third and final season of Netflix’s A Series of Unforced Events. 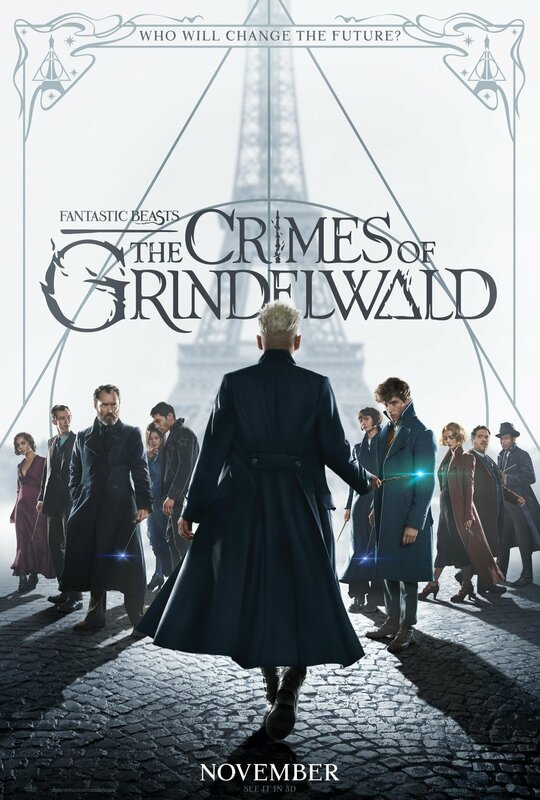 The show is based on the book series written by Lemony Snicket, and it does a fantastic job at bringing the words from the pages to life on the screen. For a show that’s theme song literally tells viewers to “look away” it does a great job at keeping them entertained. A melancholy mood is set with the breathtakingly amazing sets. Fans of the books will be able to notice small details hidden in the background. Impromptu musical numbers add an amusing twist to the plot of the show. An incredible portrayal of Count Olaf is delivered by Neil Patrick Harris, who was born to play the role. Every new character is more intriguing than the last. From their beautifully made costumes to their unique personas. The main characters are the Baudelaire children who were tragically left orphaned when there parents mysteriously died in a fire that destroyed their home.Violet the oldest, is the inventor. Klaus is the researcher who reads any book he can gets his hands on. Sunny is the youngest and she’s a biter. Violet’s incredible inventions, Klaus’ extensive research, and Sunny’s biting get them out of countless precarious situations. They drift from guardian to guardian looking for a safe place to call home. Their lives are full of death, abandonment, and most of all arson. Everything goes awry when a secret organization is broken up into a schism. 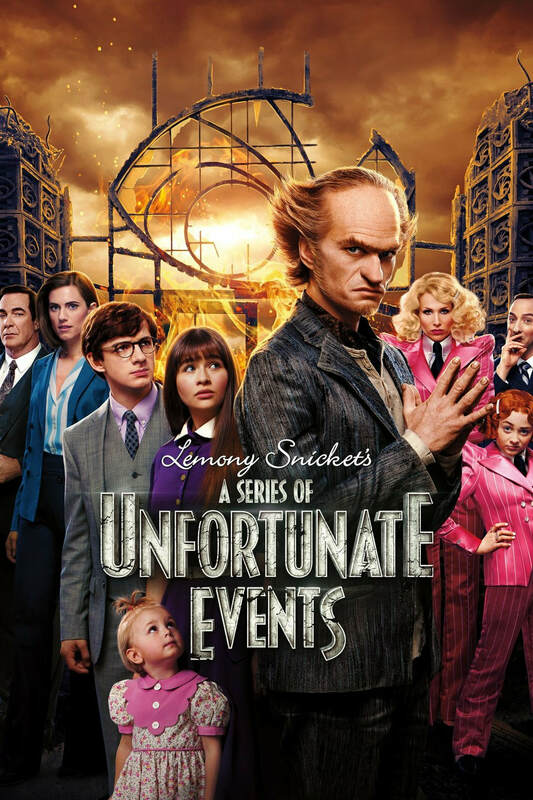 The series was previously adapted into a film by Nickelodeon Movies, and starred Jim Carrey as the devious Count Olaf. The show ended after only three seasons because there was no more of the Baudelaire story left to tell. Many secrets are revealed, but some are taken to the grave. Not only is the show entertaining it also teaches valuable lessons on morality. The ending may not give everyone what they want, but it does a good job at bringing all the unfortunate events of the Baudelaire’s life to a close. Netflix has recently released its new original series The Chilling Adventures of Sabrina, just in time for Halloween. The show is set in the town of Greendale, the same universe as the hit cw show Riverdale. It is based on the Archie Horror comics Chilling Adventures of Sabrina, and follows a long line of other adaptations of the story. If you pay attention you may notice a few nods to the adaptation many grew up with, Sabrina the Teenage Witch, which was written more as a sitcom with a talking cat. This telling of the story is more gruesome and reveals a much darker side to Sabrina, the music sets an ominous an eerie mood. Like many adaptations, certain elements must be changed, but this show did a good job at staying true to the original. The main character Sabrina Spellman is a half witch raised by her two aunts, Hilda and Zelda. Of course everyone's favorite feline Salem could not be forgotten, however in this version he can not speak. To make up for Salem’s silence, Sabrina’s cousin Ambrose acts as her confidante. On her 16th birthday Sabrina must decide if she wants to live life as a witch or a mortal. This season is chock full of spells, resurrections, romance, and even female empowerment, but be wary some moments are not for the faint of heart. After watching this you are sure to have chills running down your spine. 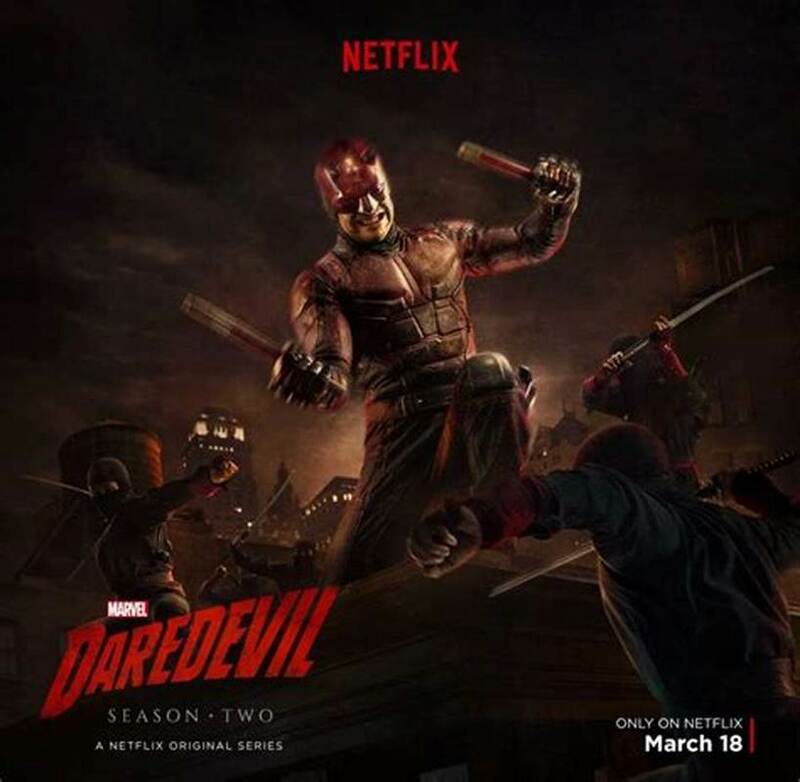 The chilling Netflix series called Daredevil is about a blind man named Matthew Murdock. Matthew is a partnering lawyer with his best friend Foggy Nelson and his special friend Karen Page in Hell’s kitchen. He became blind at 9 years old when he saved an old man from being hit by a car. Chemicals spilled into his eyes and blinded him. His father Jack Murdock competed as a professional boxer to support the family. He wasn’t very good, so he took many beatings and soon it got him killed. The chemicals not only blinded Matt but it also heightened his other senses such as touch, taste, and hearing. An old man named Stick taught Matt how to fight and be tough in many different ways which lead Matt to become a “vigilante” fighting crime in the city, stopping bad guys, and putting drug rings out of business. These heightened senses give Matt an advantage that his opponents don’t have. Daredevil is amazing. It’s action packed and uses a real setting with unrealistic things going on. It’s also relatable in certain ways that others would understand and it’s take on kids that grew up orphans and how they still matter. The way they defend the blind in letting the world know that they aren’t completely helpless. There are realistic things in this show such as love and relationships, friendships, heartbreak, and lost. The show is also apart of a Marvel comics show series such as Jessica Jones, Luke Cage, The Defenders, and Iron Fist. These shows are all connected through The defenders when they all meet up and defeat “The Hand” a dangerous crime organization with special abilities that make them exceptional. On February 16, the Marvel Cinematic Universe released it’s newest movie, Black Panther. An instant hit, it quickly became one of Marvel’s highest grossing films. With a nearly all people of color cast, Black Panther has great representation. There are also many leading women roles. The main character’s sister, Shuri, is a fantastic role model for this generation of girls. From hilarious puns to being a tech genius some may say she is the real star of the movie. Black Panther gives Marvel fans an insight on the nation of Wakanda. A far more advanced civilization that is hidden from the rest of the world. Breathtaking scenes of the land bring almost a Lion King feel to the movie. Not to mention the incredible soundtrack that goes with the film perfectly. While this was a fantastic Marvel movie; it was still a Marvel movie. As absolutely amazing as it was the movie lacked a certain emph at points. Still an overall amazing film, Black Panther is a must see! 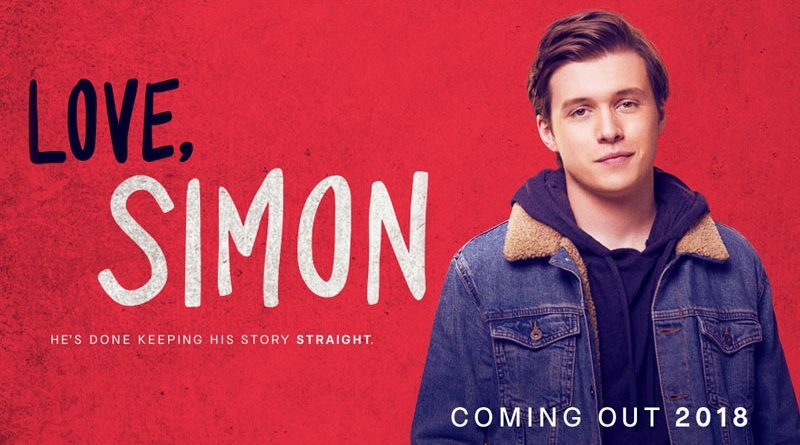 If you're looking for a feel-good movie to watch, Love, Simon is the one for you. Based off the popular book Simon vs. The Homo Sapiens Agenda by Becky Albertalli, this movie follows a teenage boy named Simon who is struggling to come out to his friends and family. Throughout the course of the movie he emails an anonymous boy online who he ends up falling for. It's funny, heartwarming, cheesy, sentimental and romantic. It'll make you laugh and cry at the same time. It's one of the most important movies of 2018 so far, and I recommend that everyone watches it. You'll fall in love with Simon and the rest of his friends, too. The Last Jedi is a different side of the Star Wars series that we have not seen before. Full of comedy, twists and turns, it is bound to bring a smile to your face. From lightsaber duels to near executions it's sure to keep you on the edge of your seat. Some may say this movie has taken a bit of a childish route and is too comedic, but it opens the door to a new story with Rey and Kylo Ren as the new leads. Of course, our favorite twins from the originals are still there, and new exciting characters have come to join the Star Wars family. In the movie, the resistance fighters are getting hit hard, and just when it seems all hope is lost is also when the greatest sign of hope returns. Watching the movie will certainly make you feel like you yourself are a Jedi and have a strong connection to the force. It tugs at your heartstrings, and portrays a new fresh feeling different from old movies. While we do get some answers, we also have new questions at the end of this movie. 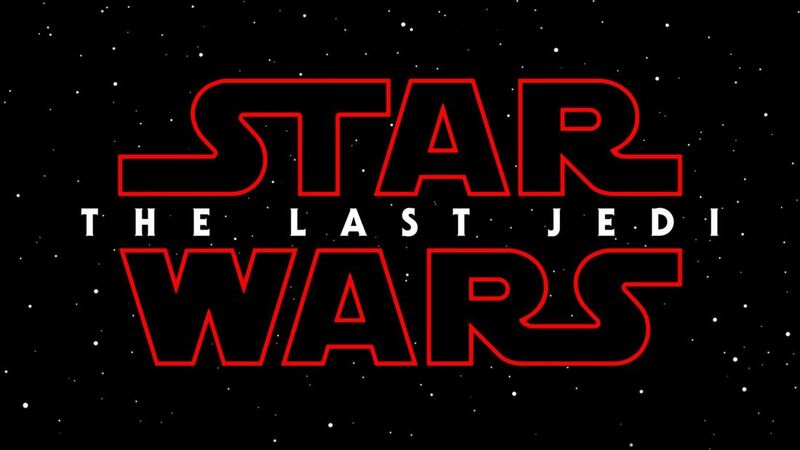 The Last Jedi, the second of the new trilogy, may not be what fans are used to in the Star Wars series, but it definitely leaves you wanting more. Chances are, whether you’re a reader or not, you’ve read a John Green book. Or at least heard of one. Or, at the very least, you’ve gone to see one of the movies based off of his books. 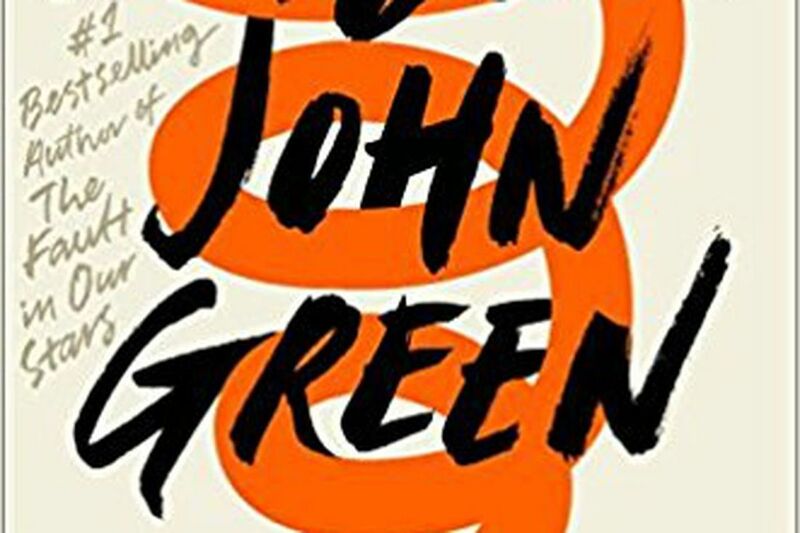 Everyone knows John Green, especially after his book The Fault in Our Stars became popular back in 2013. His Youtube series "Crash Course" is popular as well. Some like Green, others not so much; however, no matter your opinion on him, I still highly suggest you check out his new book, Turtles All the Way Down. This novel follows 16-year-old Aza Holmes, who has discovered her childhood friend Davis’ billionaire father has gone missing. She and her friend Daisy try to uncover where his father might have gone throughout the novel. Aza and Davis also reconnect through his father’s mysterious disappearance. However, this novel is so much more than a couple of friends trying to solve a mystery. This story focuses mainly on Aza’s day-to-day struggle with anxiety. Her anxiety affects not only herself, but also those around her. She constantly feels trapped in a ‘spiral’ of her anxiety. Turtles All the Way Down is Aza’s story of trying to overcome her anxiety. This novel almost feels like you’re reading a panic attack. It made me feel anxious, jittery, and nervous, even though I don’t tend to feel like that often. If you feel you are too anxious to read this book, I would recommend staying away from this for the time being. Maybe come back to it later, when you have overcome the struggle you have been facing, and Aza’s story will most likely be an important one to you. I think it’s an extremely powerful story, whether you can relate fully or not. Green has definitely outdone himself with this novel. I think the message is so important for everyone to hear; it’s a beautifully written story about friends, love, family, hurt, and overcoming something you never thought you could. When Stranger Things came out last year, fans quickly became obsessed. The enthralling first season left viewers wanting more. The second season is the perfect continuation of the thrilling story line. Every single episode has you at the edge of your seat. The new season is packed with intense character development. It was really interesting seeing the amount of depth and personality in some characters that we hadn’t witnessed before. Overall this season was filled with horror, drama, and supernatural forces. I recommend that everyone watch this. Hamilton: An American Musical freestyled its way into the Richard Rodgers Theatre in July 2015. Produced by Jeffrey Seller, Hamilton has an abundant source of unique and sensational songs that the listener is sure to fall in love with after hearing them for the first time. Although Seller produced the musical, Lin-Manuel Miranda (creator of In The Heights) is the writer, lyricist, and star of Hamilton. The original cast includes a variety of different voices, including Leslie Odom Jr. as Aaron Burr, Phillipa Soo as Eliza Hamilton, Renee Elise Goldsberry as Angelica Hamilton, Jonathan Groff (the voice of Kristoff in Frozen) as King George III, and numerous other talented individuals. Hamilton connects the life, death, and legacy of Alexander Hamilton with the struggle of our Founding Fathers to form a country with equality and freedom for all. The musical is filled with laughter, duels, rap battles, coquettish flirtation, and, unsurprisingly, death. While enjoying the music and action, the audience also learns about how our country came to be the United States of America. Still not intrigued? I asked fellow Northstars to tell us their favorite songs from Hamilton. Gabriel Griffith (10th), endorses “The Schuyler Sisters,” and Jessica Klinger (10th), recommends “Say No To This.” After you listen to these songs, I guarantee you will fall in love with this musical immediately! Rogue One was one of the most highly anticipated movies of the year. By watching this movie you are able to have the gap of time between Revenge of the Sith and A New Hope filled, since it took place about 20 years after Revenge of the Sith and ended almost exactly where A New Hope began. Even though Star Wars fans know pretty much how the movie is going to end, it still manages to keep you on the edge of your seat waiting to find out what happens next. Although people complain about the CGI and how Disney shouldn't have done it, they were transported back to before A New Hope with the familiar faces of old characters. Overall,this movie is full of action, funny jokes and even has romance in it. I recommend this movie to everyone. You won't regret it! 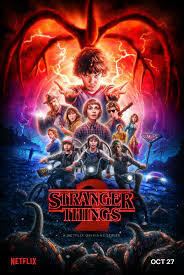 Of Netflix’s brilliant creations, its original series entitled Stranger Things is one of the absolute best. This thrilling, edge-of-your seat series is about a group of young boys in 1983 that go on a terrifying quest to find their friend who disappeared. Filled with talented actors and actresses, this show captivated my binge-worthy appetite. If you are interested in horror-fantasy dramas, this show might be for you. Episodes will continue to play, one after another, non-stop. Overall, this short, eight episode series (with a second season in the making), is a must-watch.